At Hoang Orthodontics, we understand that the cost of even the most basic dental care may be prohibitive for some of our patients. However, we believe that no patient should have to forgo dental treatment because cost is a concern. We offer convenient interest free financing and payment options so that even the most comprehensive orthodontic treatment is within the reach of each of our patients. We also make it a point to fully inform patients of the cost of treatment before we begin treatment, so patients will never suffer "sticker shock" when they receive their bill. If you are in treatment with us and your insurance changes, you MUST inform us of the change so that we can discuss with you any affects it will have on your account. At the time of scheduling your initial appointment with us, we will ask for your insurance information to verify your benefit for you. 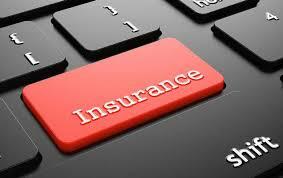 We provide you with the quotes your Insurance company gives us but cannot guarantee the payments. 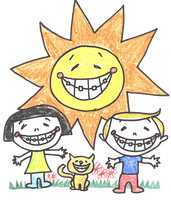 Insurance benefits for orthodontia is typically a per life time benefit. Your orthodontia benefit is per person per life time and is NOT renewable every year as in your general dental benefits. Hoang Orthodontics has current affiliations with the following dental insurance networks. If your child has Medicaid or CHIPs - let us know at the time of scheduling your appointment and we can give you a rate discount. For patients who have little or no dental insurance coverage, flexible payment programs can be arranged through us or through dental financing companies. If you have no insurance or do not have orthodontic benefits, there is still a way for you to receive dental care. We do offer the following convenient payment options, but please don't hesitate to contact our office at Hoang Orthodontics if you have any questions. Remember, we will work with you to help you get the dental care you need. If you have any questions about insurance or payments, please call 281-955-0380 today to see what other payment options are available at Hoang Orthodontics!